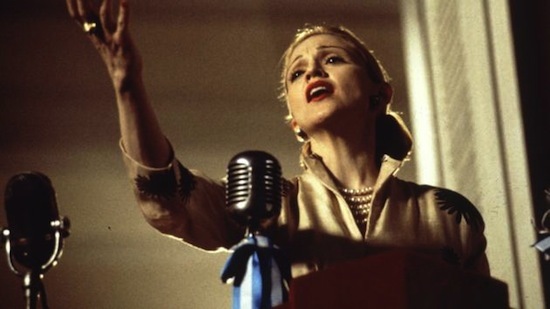 On March 10 1996, Madonna lip-synched Don’t Cry For Me Argentina for a scene in Evita before a crowd of 2,000 extras on the balcony of the Casa Rosada, the same location where the late Eva Peron addressed her people 50 years earlier. 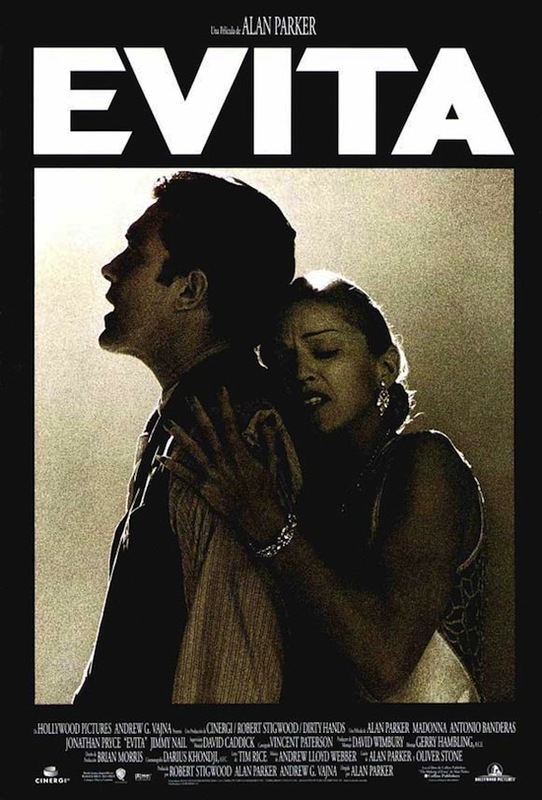 On June 19 2012, Evita: 15th Anniversary Edition was released on Blu-ray, with the You Must Love Me music video included as a bonus feature. 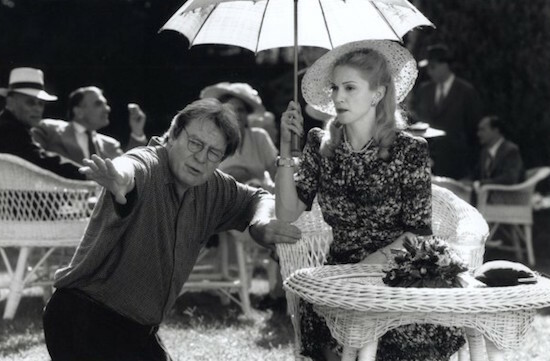 The music video for You Must Love Me was directed by Alan Parker. 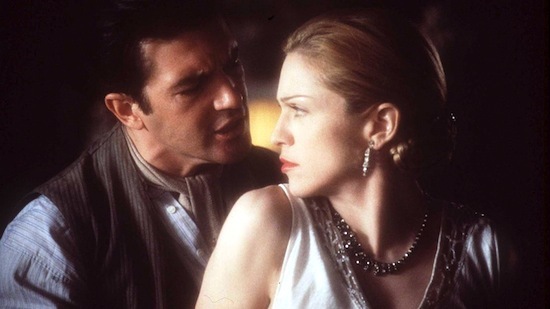 Madonna was eight months pregnant (with Lourdes) when the video was shot. 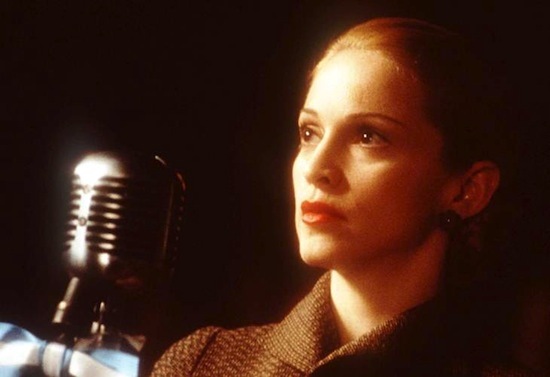 Madonna stood behind a piano to conceal her pregnancy during the video shoot. 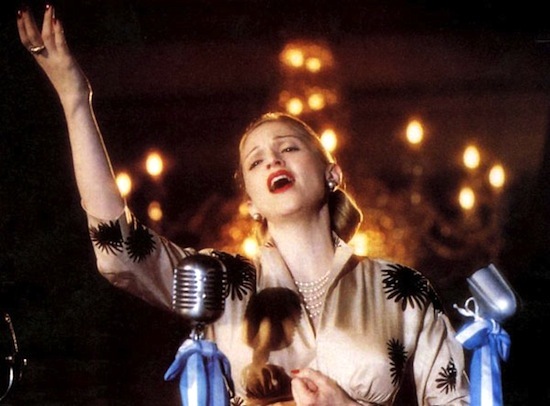 On November 9 1996, the EVITA soundtrack debuted at #7 on the UK albums chart. 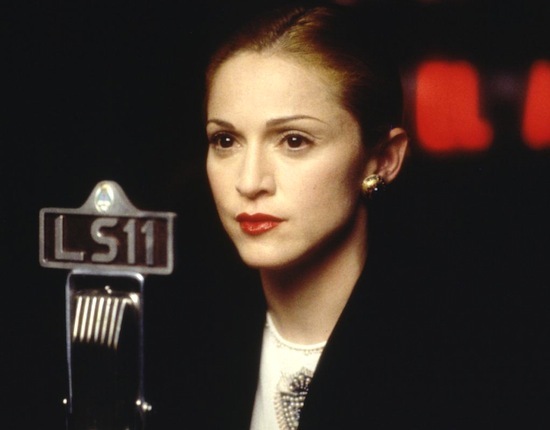 “The hardest work that anyone had to do was obviously done by Madonna. She had the lion’s share of the piece, singing as she does on almost every track. Many of the songs were comfortably within her range, but much of the score was in a range where her voice had never ventured before. Also, she was determined to sing the score as it was written and not to cheat in any way”. 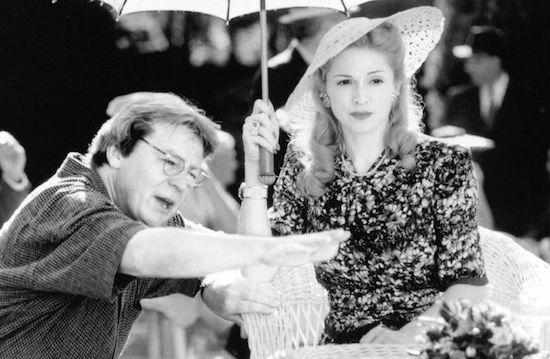 On June 13 1996, A New Madonna: The Making Of Evita special (hosted by Kurt Loder) premiered on MTV. 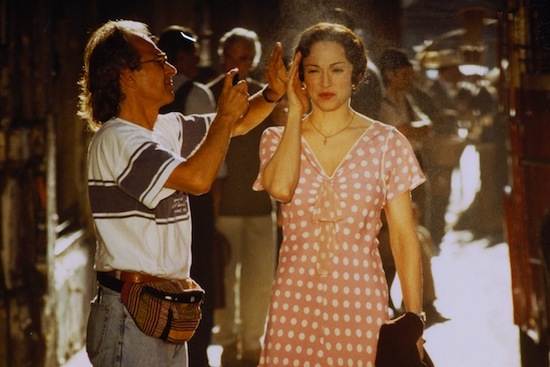 When was the last time you watched EVITA? How does it stand up? Can you believe how much she has accomplished since then? 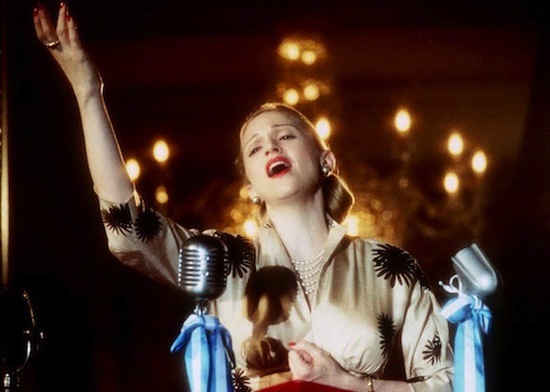 Favourite EVITA song? 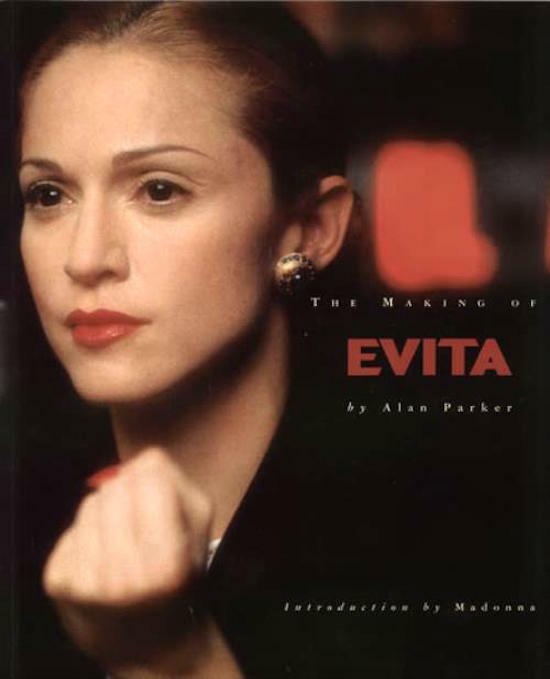 On December 5 1996, The Making of Evita book was released. The introduction was written by Madonna. 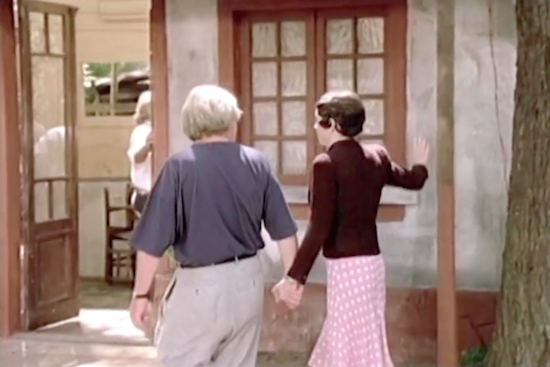 Director Alan Parker wrote about the the trials, tribulations and triumphs he and the cast endured to bring the musical to the big screen. 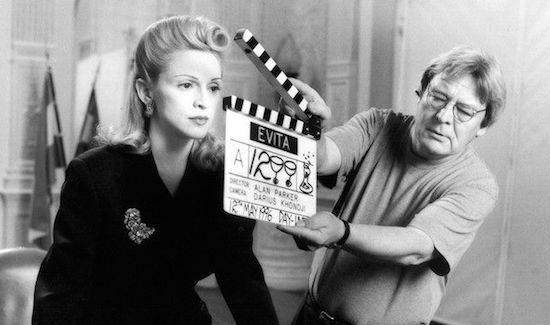 For fifteen years I watched as the film of Evita was about to be made, and the various press releases were printed in the media. I have been furnished with the various news clippings from those years, and would first like to mention the stars that would supposedly be starring in the film. They include: Elaine Paige, Patti LuPone, Charo, Raquel Welch, Ann-Margret, Bette Midler, Meryl Streep, Barbra Streisand, Liza Minnelli, Diane Keaton, Olivia Newton-John, Elton John, John Travolta, Pia Zadora, Meat Loaf, Elliott Gould, Sylvester Stallone, Barry Gibb, Cyndi Lauper, Gloria Estefan, Mariah Carey, Jeremy Irons, Raul Julia and Michelle Pfeiffer. And then there were the directors: Ken Russell, Herb Ross, Alan Pakula, Hector Babenco, Francis Coppola, Franco Zeffirelli, Michael Cimino, Richard Attenborough, Glenn Gordon Caron and Oliver Stone. So why didn’t it get made until now? And with none of the individuals mentioned above? I’m sure I don’t know. All I do know is that all those years, I sort of regretted saying no to Robert in that dusty street. So I was glad that everything came full circle when I was asked to make the film again by Robert Stigwood and Andy Vajna at the end of 1994. When I began work on the film, the incumbent actress to play Evita was Michelle Pfeiffer. She had waited such a long time to do the film that she had even had a baby in the meantime. I met with Michelle, whom I greatly admire, and it was clear that with two small children she wasn’t about to embark on the long Lewis and Clark journey I had in mind—a long way from the comfort of nearby Hollywood sound stages. 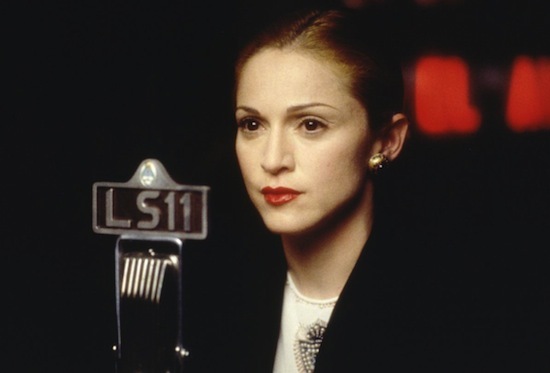 While spending Christmas in England in 1994, I received out of the blue a letter from Madonna. (I had developed a remake of The Blue Angel with her some years previously, but it had bitten the Hollywood dust.) Her handwritten, four-page letter was extraordinarily passionate and sincere. 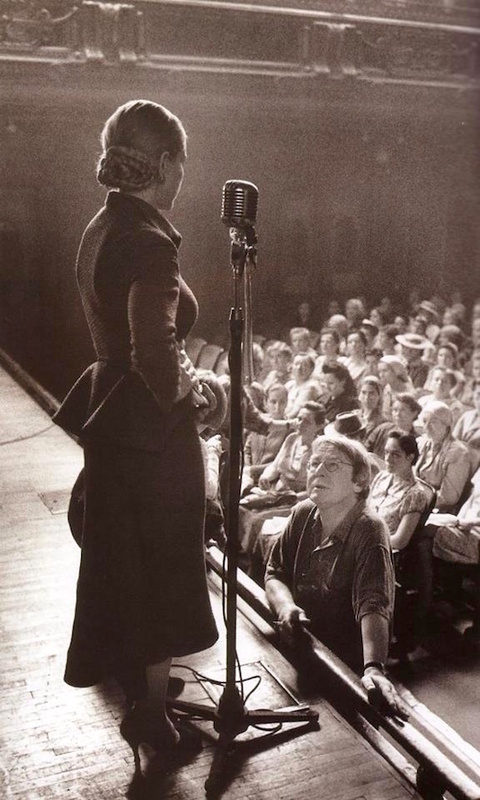 As far as she was concerned, no one could play Evita as well as she could, and she said that she would sing, dance and act her heart out, and put everything else on hold to devote all her time to it should I decide to go with her. And that’s exactly what she did do. (Well, she didn’t put everything on hold, as she did get pregnant before we finished filming). 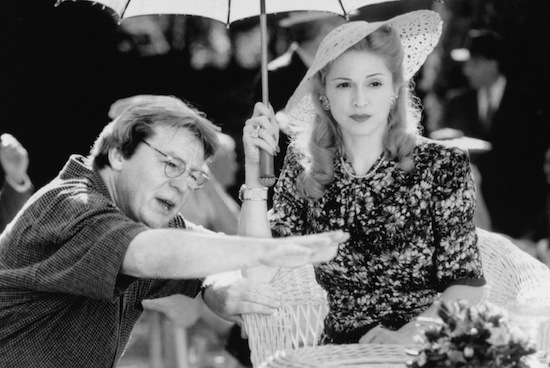 You can watch a making of Evita documentary from Alan Parker’s official website.